I decided to take my best friend on her first cruise and celebrate my birthday at the first time. 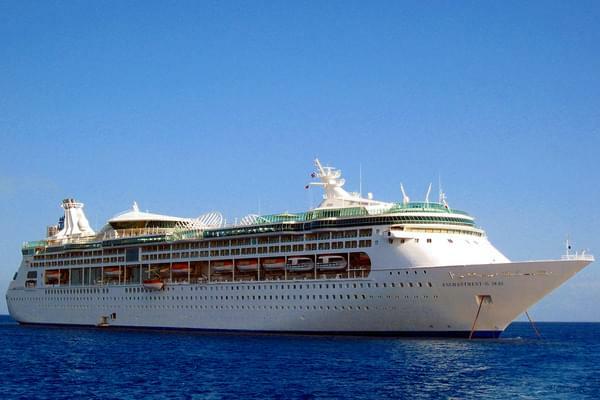 I have cruised many times before but only once with Royal Caribbean. 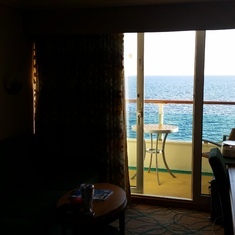 I was pleasantly surprised with my cabin and all the entertainment on board even though this is one of their older ships. They have updated it to have more of the amenities that some of their larger and newer ships have. I chose to pre-pay gratuities, but found myself giving additional tips, because the staff was AMAZING!!!. I also pre-purchased a drink package which was great. 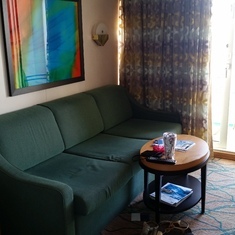 For $60 I was able to enjoy premium coffee and teas from Starbucks as well as their pastries, all coke a cola products, bottled waters and juices for the entire length of my cruise. It was well worth it to me and I also got a nice souvenir cup as well. The food whether formal dining or casual was wonderful and of course there was an abundance of food to choose from. I enjoyed the clubs, the shows and the ports of calls. 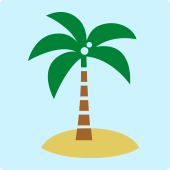 I actually didn't purchase excursions just because we planned on making it a beach day at both Nassau and Coco Cay. We walked to the beach in Nassau and it was great, only 10-15 min walk from the port and then had a bite at Senor Frogs (a must stop). On the private island of Coco Cay it was beautiful to have a place only for the cruisers of this ship to relax and spend a day of leisure. They had games, music, beach BBQ and lots of things to do, see or even buy at their very own straw market. 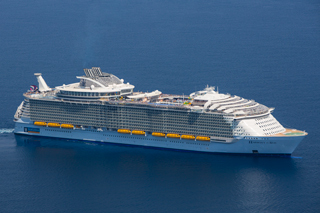 If you are looking for something quick and fun I recommend a 3 or 4 day cruise with Royal Caribbean to the Bahamas. I had a wonderful time and it was inexpensive and convenient. 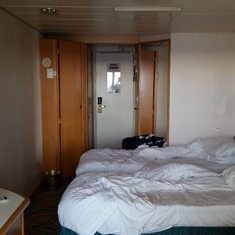 Even the boarding process was quick and easy and that is usually the thing I hate most about cruising, but they have found a way to make that pleasurable. I am planning another one for next year with a group of my girlfriends. And I can't wait.